Amazing Family Night at Ringling Bros. and Barnum & Bailey Circus! 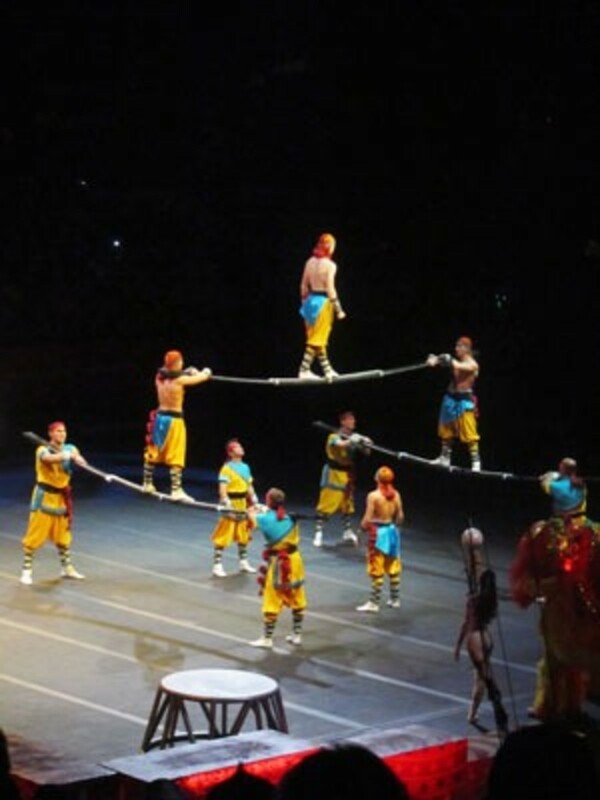 If you haven’t seen this year’s Ringling Bros. and Barnum & Bailey circus yet, you are missing out on an amazing family friendly experience! Gone are the traditional three-rings. 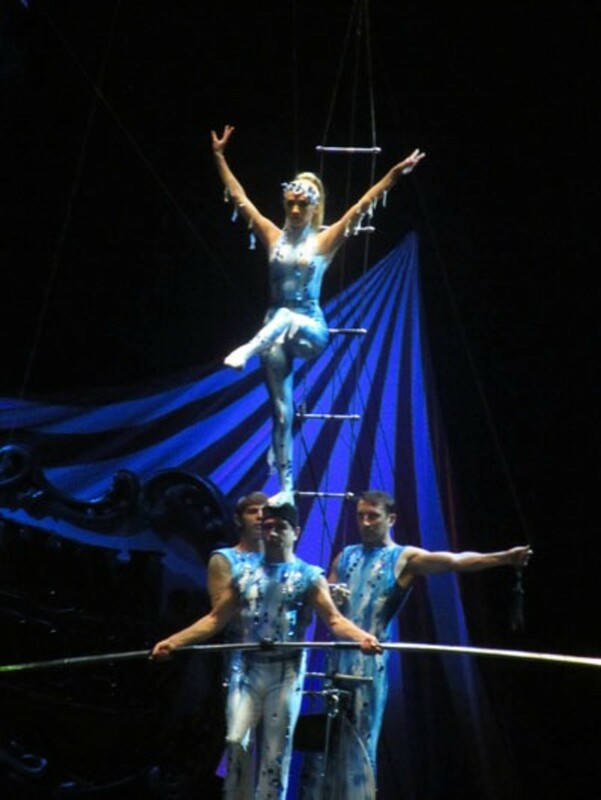 In their place is a theatrical performance that spans the arena floor with a cast of talented circus artists who have honed their acts to near perfection. The incredible costumes and the creative use of lighting create a feast of color for the eyes. 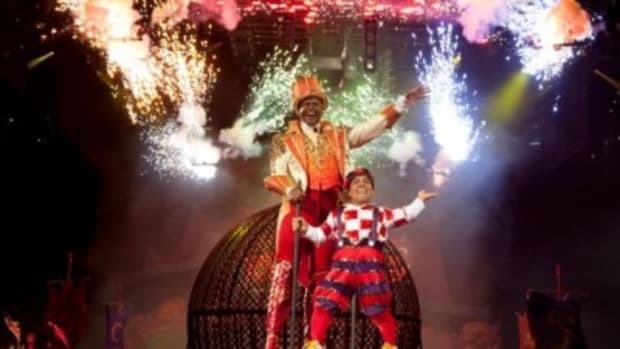 After my interview with Ringmaster Johnathan Lee Iverson and his wife Priscilla, my family’s anticipation to see the circus kept building day by day and we were NOT disappointed! Our circus adventure began with the ALL ACCESS pre-show where the twins enjoyed getting tattoos, trying on costumes and meeting some of the circus stars. The highlight was getting to see Kelly Ann (elephant who paints) create some original art. What a treat! (Don’t forget—all ticket holders have access to the pre-show which starts one hour before showtime). The world famous Ringling clowns got the show started and made us laugh with their funny antics. After that, it was non-stop thrills! Like the rest of the audience, I found myself sitting on the edge of my seat watching the Sky High Ice Gliders as they did somersaults and backflips onto a high wire. Their very first set consisted of two people on the high wire with one person balancing on the head of another on one foot! WOW! The Balancing Body Benders, a trio of women from Mongolia, amazed us with their flexibility. They made their entrance by coming out of a small glass box—unbelievable! Then Meetal the strong man lifted them, a HUGE barbel and one other person with his legs—that’s over a half ton! The Asadulin Troupe from Russia and the Barnum Bouncers from China thrilled us with their exciting gymnastic and trapeze moves. They are so talented! We got to enjoy wonderful performances from so many talented circus artists that it’s difficult to pick just a few to include in this post. 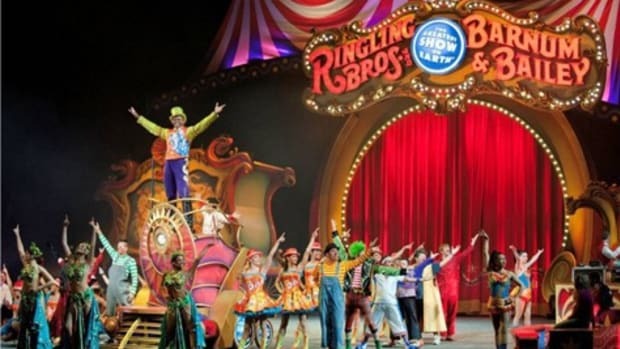 Be sure to check out the Ringling Bros. and Barnum & Bailey website as they have provided information on all of the acts performing in the show. 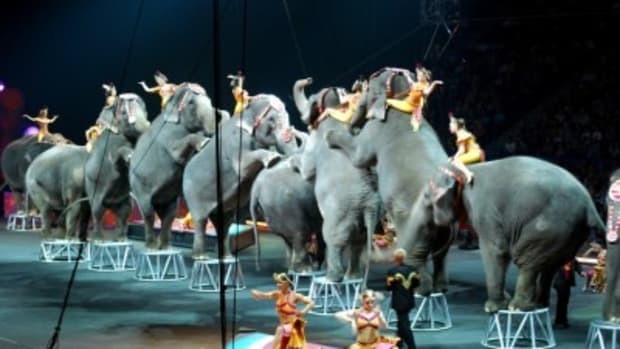 Of course, the circus show wouldn’t have been the same without the awesome animal performers, particularly the majestic elephants. I was mesmerized watching how graceful these beautiful animals are. They seemed to be moving with such musicality. I only wish they’d performed a little longer! The elephants were my favorite and my daughter enjoyed them too, but she was smitten with the gorgeous tigers, particularly the white tigers. At the end of the night, we got to say hello to Ringmaster Johnathan Lee Iverson. We were waiting for the arena to clear and he happened to come out for a few minutes. My children were so excited to see him! I have to give kudos to Johnathan as he did a fantastic job leading the show. 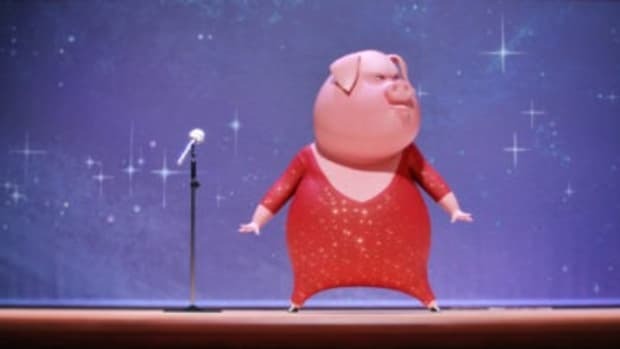 Not only did he bring lots of energy and excitement to the audience, but he is quite a talented vocalist too! Our night at the circus was so much FUN! 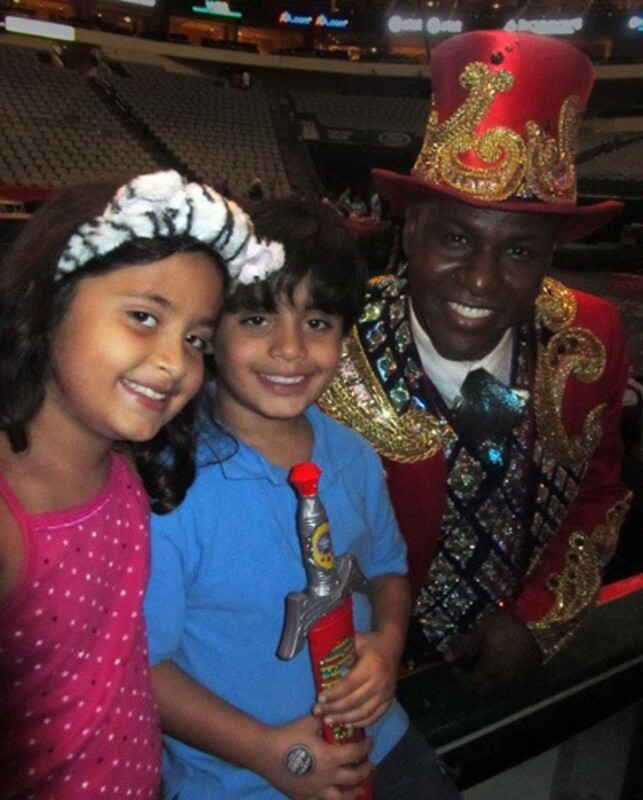 I highly recommend that you take your family to see Ringling Bros. and Barnum & Bailey’s Barnum 200 tour. 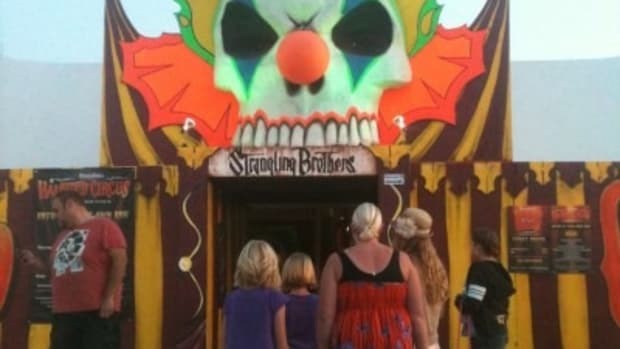 It’s aptly named The Greatest Show on Earth! 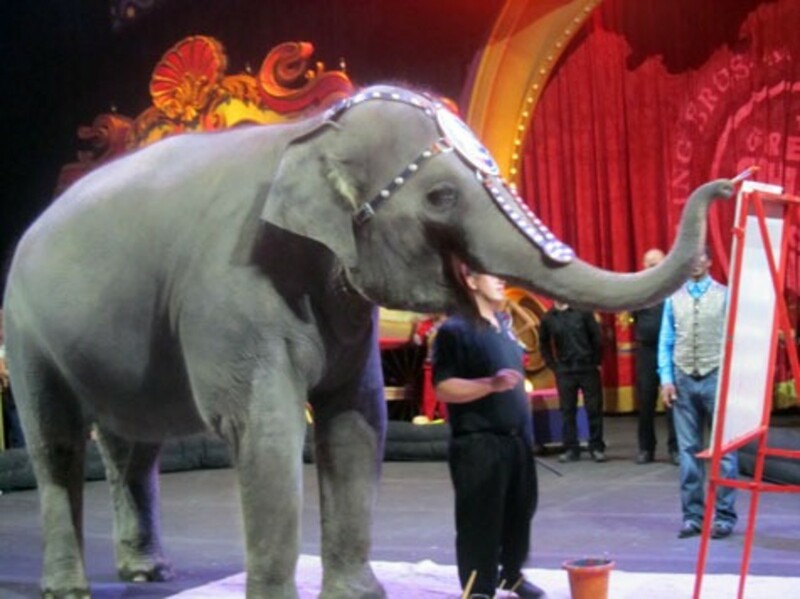 The circus will be in DFW for just a couple of more weeks (Dallas through August 7th and Fort Worth Aug 10-14th). Multiple show times are available on the weekends. Tickets are available for purchase online on the RBBB website. 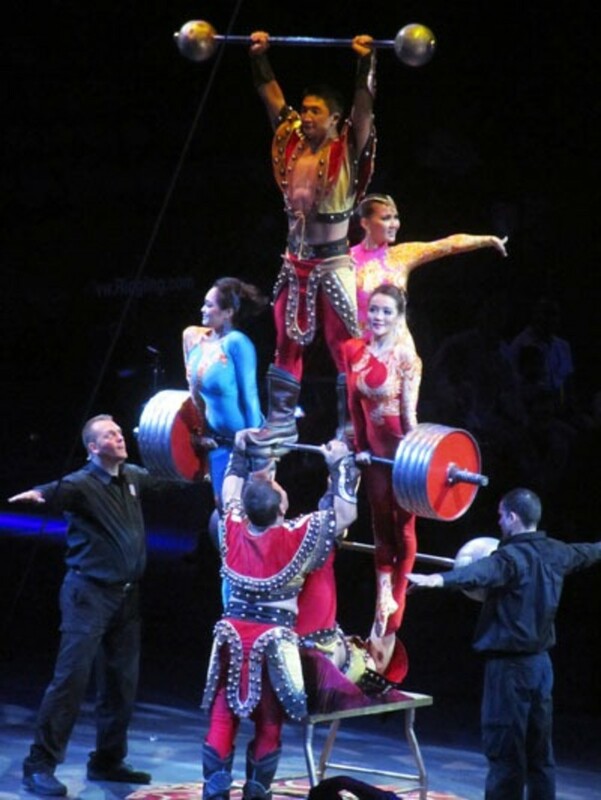 Don’t miss your chance to have your own amazing family night at the circus! 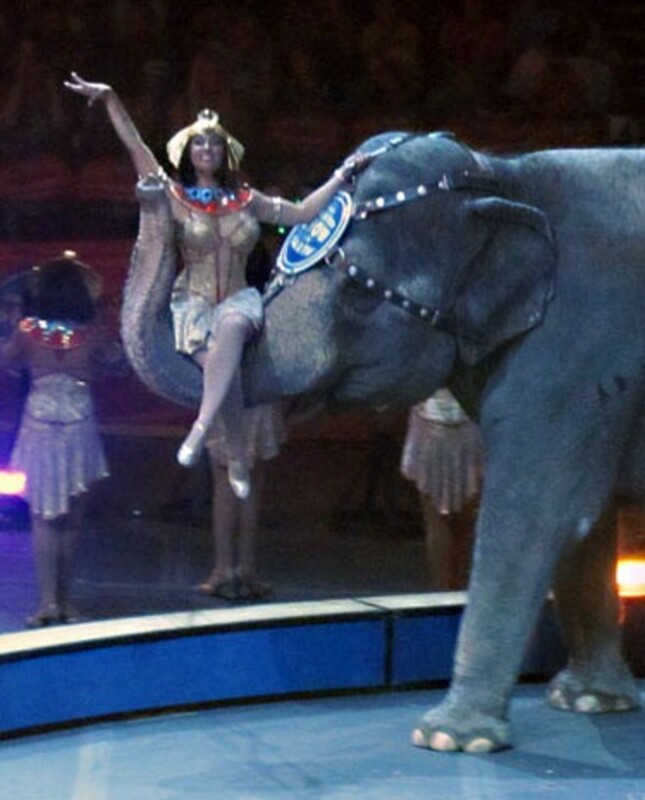 Disclosure: My family was invited to see the Ringling Bros. and Barnum & Bailey circus and the above represents our experience. 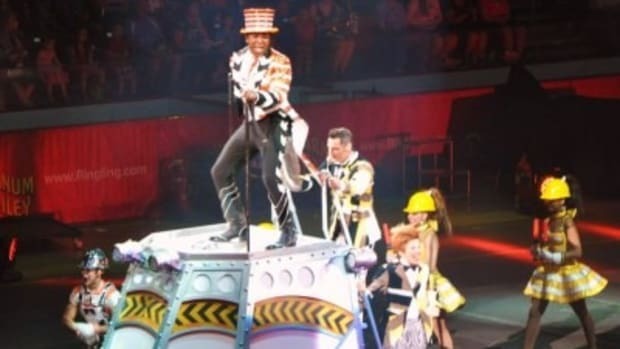 Ringling Bros. and Barnum and Bailey Circus “BUILT TO AMAZE” Review. 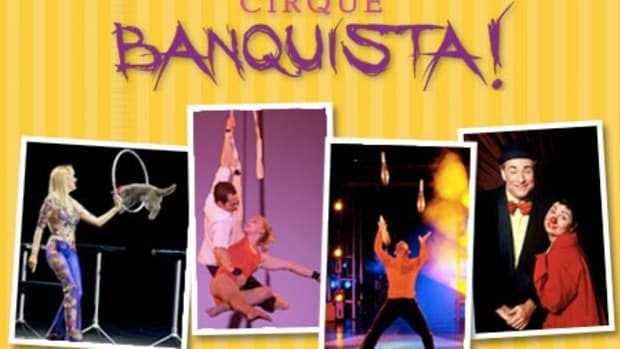 Cirque Banquista by the Lone Star Circus – In a Word? Amazing. 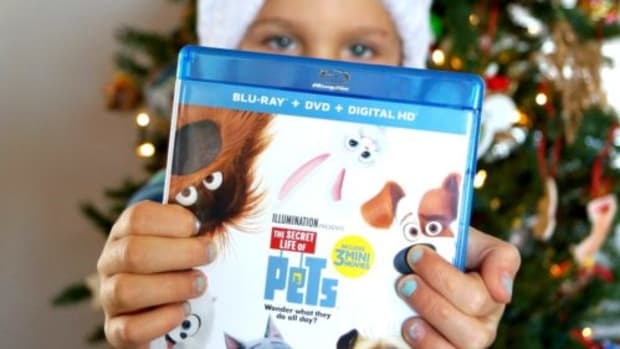 This afternoon, I took my 4 year old to a grand Vegas-style show…without leaving Dallas. The Circus is Coming to Town! Celebrate with a FREE Birthday Bash!